In India, gold price varies across cities dues to various local market factors like demand and supply of gold, state government taxes and transportation charges of physical gold. The price of gold in India is on another roller coaster ride, as it was trading at Rs 30,043 down by 0.21%, as per MCX data on Friday. On Friday, the gold price in India touch high of Rs 30,107 in early trade. 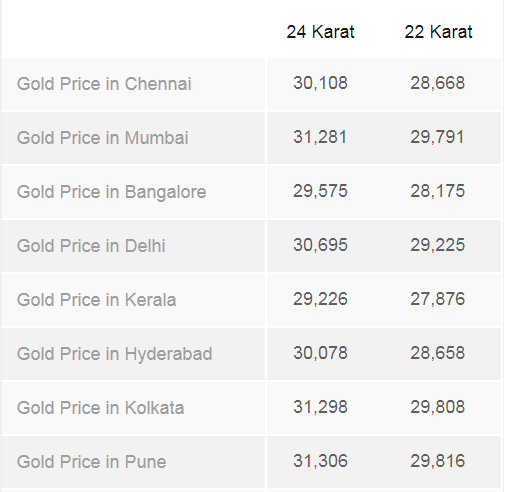 Gold prices in India are given for 24 karat and 22 karat gold given in rupees per 10 grams. MCX provides data for 24 karat (999.9 purity) gold price only. While the price of 22 karat (91.6 purity) gold price is derived from 24 karat MCX gold price applying a standard karat calculation formula used in the market, as per reports. On Friday, 24 Karat of Gold in Chennai is priced at Rs 30,108, in Mumbai at Rs 31,281, Bangalore at Rs 29,575, Delhi at Rs 30,695, Kerala at Rs 29,226, Hyderabad at Rs 30,078, Kolkata at Rs 31,298 and in Pune at Rs 31,306. Silver prices also saw heat of investors, as it went down by 0.18% trading at 37,930-mark. This decline was witnessed despite spot gold recovering from more than one-month lows as tumbling equities markets pushed investors into safe-haven assets, but a firmer dollar and worries about rising global interest rates kept gains in check, says a Reuters report. Spot gold was up 0.1% at $1,320.72 an ounce, as of 0038 GMT. Prices touched their lowest since January 4 at $1,306.81 on Thursday. Spot gold was down 1% for the week and heading for its second straight weekly loss. Meantime, Indian benchmark indices continue to tumble, with Sensex trading below 34,000-mark since three consecutive days. 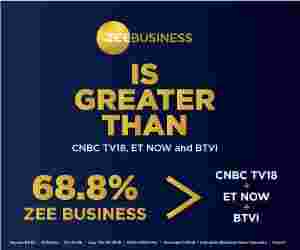 At around 1130 hours, Sensex was trading at 33,903.06 down by 513.42 points or 1.49%, while Nifty 50 was also down by 163 points or 1.54% trading at 10,413.85.